Still have your wedding gown? How’d you like to walk down the aisle one more time in a beautiful setting … and then donate your gown to a great cause? I’m looking for brides size 2 to 22 and ages 18 to 80 to participate in a unique bridal fashion show at The Historic Old Church next February. 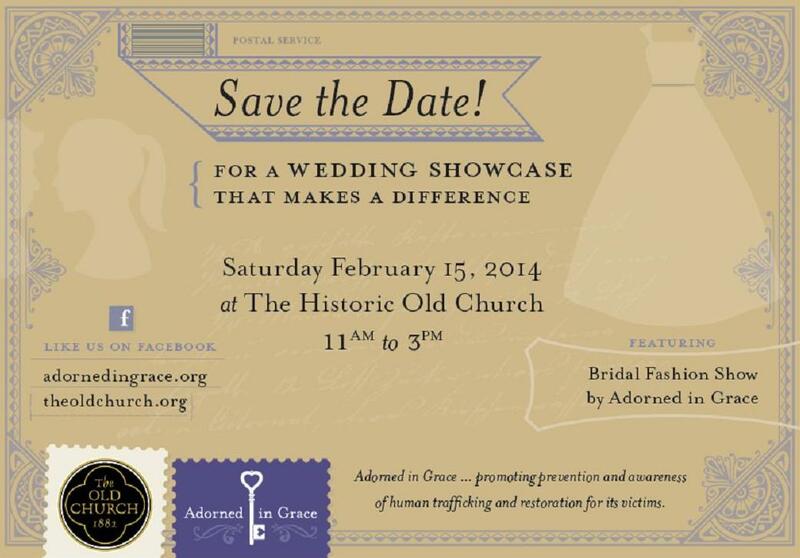 I’ll be emceeing the show on behalf of Adorned in Grace, the nonprofit bridal shop dedicated to eliminating human trafficking. Interested? Contact me via email or call 503-263-5229 for details. Help keep the love flowing … I promise you a fun experience and warm thanks from a great group of caring hearts.